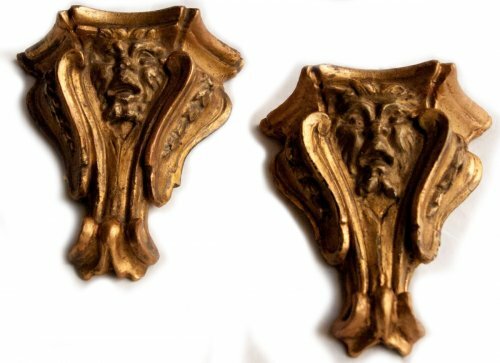 A Louis XIV oak-wood console table "aux mascarons"
Wall brackets with grotesque heads, italy, 17 th c.
The console table makes its appearance during the reign of Louis XIV. Also called a console d'applique or "wall mounted console", it is leaned against a wall. It rests on two legs, sometimes on four legs connected by an X crossbar. Its console legs give it this name. Rich in ornamentation, the legs are vertical or curved towards the inside. 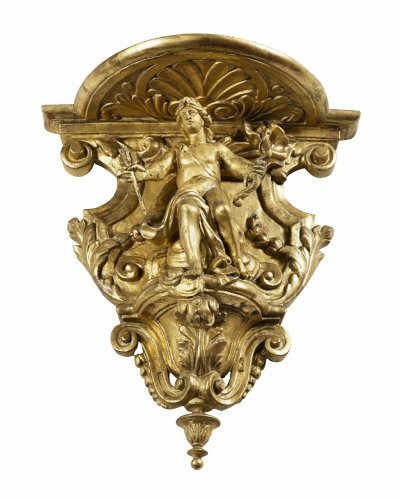 In carved and gilded wood, it is decorated on three sides with exceedingly rich detail. 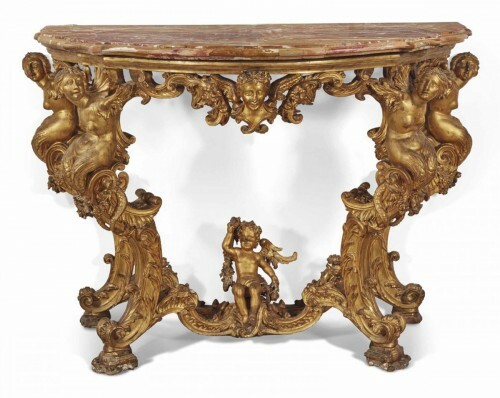 The top of the Louis XIV console is in scrolled and carved marble, Florentine mosaic, Egyptian porphyry or marquetry. Its plateau rests on female figures, masks or mascarons bordered with garlands, foliated scrolls or swags. 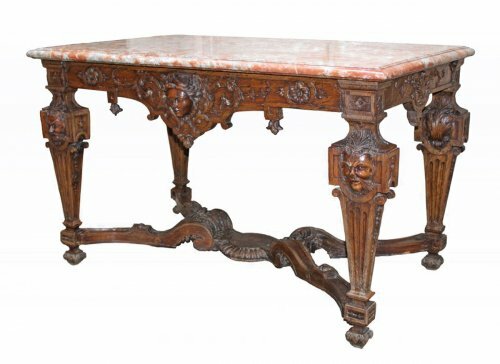 The Louis XIV console makes a dramatic impact in the decorative arts, as it is a rare piece of great refinement, richly carved and ornamented.